Aer Lingus management has apologised to staff after a newspaper article said there had been millions of euro in stock losses and theft from passengers. The article was published in the Sunday Independent last weekend. Following a meeting with unions yesterday, the airline's chief executive Stephen Kavanagh expressed regret for the hurt and upset caused by what the airline called a "misleading article". In a statement, the airline said Mr Kavanagh "confirmed that Aer Lingus had not been the source for the article". 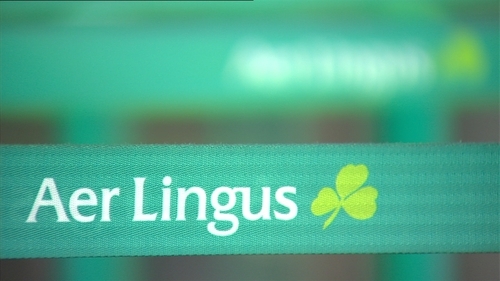 Aer Lingus is to make a €25,000 donation to two charities – Focus Ireland and Pieta House – which were chosen by staff. The apology has been welcomed by a trade union representing staff at the airline. Speaking on RTÉ’s Today with Sean O’Rourke, Fórsa’s head of communications Bernard Harbour said the story caused a lot of upset amongst staff at the airline, particularly cabin crew. He said the union received thousands of calls and emails following the publication of the article. However, he said the "unfortunate problem" has now been dealt with effectively, adding "it is probably in everyone’s interest now to move on and get on with the good work the airline does".